With over 37 years of experience in the Lakes Region, Center Harbor Dock & Pier LLC is your partner in achieving quality installation and repair of dock systems on New England's shorefront. With us, you can expect to get nothing but detailed and skilled construction that is fit to meet the requirements of even the most discerning client. Whether it is wood or aluminum conventional and custom-designed crank up docks, boatlifts, and moorings that you seek, our team is trained to give you just what you need. 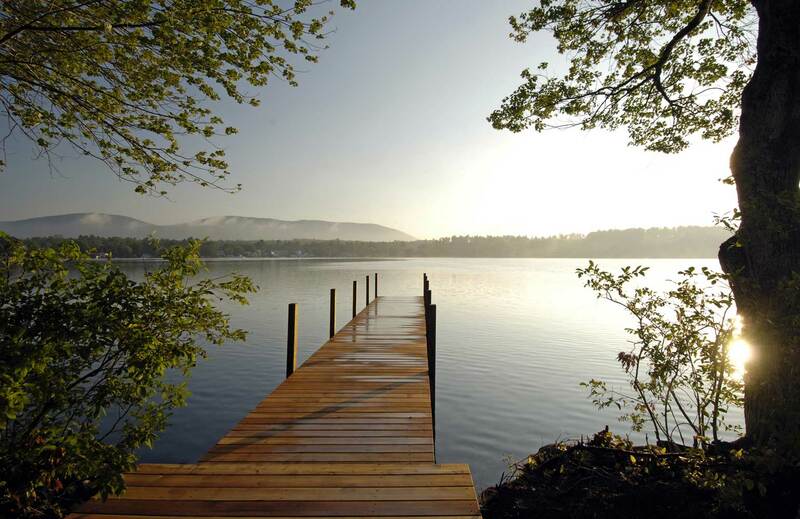 Our reputable company of dock system specialists, with an excellent track record, has earned a firm standing as among the region's most trusted in the industry. We always see to it that in every project we take on, we deliver technical precision and efficiently collaborate with our clients from Lake Winnipesaukee and its surrounding areas. You will be involved in the entire process—from planning and designing to construction and maintenance—ensuring that what you will get in the end are masterfully built wood or aluminum and seasonal or permanent docks. Because we provide you with the most effective options and solutions while thoughtfully considering your needs and preferences, your vision will materialize into something of greater quality and value. Alongside our expertise in the industry, we present you with a selection of quality, reasonably-priced products of various sizes and materials. This includes custom wooden swim floats, aluminum retractable/ crank up docks, moorings, boatlifts, and more. May it be seasonal and removable docks to permanent installations, we have everything you may need for your waterfront. Truly, we are your ultimate dock system resource that presents you with exemplary products and services. Center Harbor Dock & Pier LLC is located and based in Center Harbor, NH, at the tip of Lake Winnipesaukee. We serve the entire Lakes Region and other areas in New England, including the following counties: Belknap, Carroll, Grafton, Merrimack, Strafford, Sullivan, Cheshire, Hillsborough, Rockingham, Coos, and more! Contact us for a consultation today.